To understand the implications of His last word from the cross, we need to understand a bit about the grammatical structure of the Greek word itself. Tetelestai has a perfect passive indicative structure. English majors may nod in understanding, but for the rest of us let me sum up what that means. Tony Miano’s article “It Is Finished!” Jesus Does Not Need Your Help explains the perfect passive indicative structure like this: “The perfect tense indicates that the progress of an action has been completed and the result of that action is ongoing and with full effect. The passive voice indicates that the subject of the sentence is being acted upon, and the indicative mood indicates a statement of fact or an actual occurrence from the writer’s or speaker’s perspective.” That’s a bit hard to work through all that, so remember it this way: this was a one-time event with ongoing results. Since I rather suspect few of us today are Greek experts, let’s break down the English equivalent we have in John 19:30- “It is finished.” First, what does Jesus mean by “it?” What exactly is finished? His work of salvation, the task for which He came to this earth. Jesus is quite clear throughout His earthly ministry about His purpose in taking on human flesh. John 6:38-40 says, “I have come down from heaven, not to do my own will, but the will of him who sent me. And this is the will of him who sent me, that I should lose nothing of all that he has given me, but raise it up on the last day. For this is the will of my Father, that everyone who looks on the Son and believes in him should have eternal life, and I will raise him up on the last day.” Or again, Jesus asserts in John 10:10-11, “I came that they may have life and have it abundantly. I am the good shepherd. The good shepherd lays down his life for the sheep.” Throughout the Gospel accounts, Jesus foretells His suffering and death many times, even though the disciples didn’t really get it until after His resurrection. Remember Jesus rebuking Peter by saying, “Get behind me, Satan!” in Matthew 16:23? Peter wanted to prevent Jesus from the suffering and death He had to undergo. But Jesus was adamant all along that He came to suffer and die for us, and on the third day to rise again. So when Jesus said on the cross, “It is finished,” He meant that the work of salvation was finished. The sacrifice for sin was complete. Our debt to sin had been paid in full. “Is.” What does this little word mean? It is a tense of the verb “am,” and it’s important to remember that the Greek is in the perfect tense. Remember our lesson from above: “the perfect tense indicates that the progress of an action has been completed and the result of that action is ongoing and with full effect.” Perfect means completed. If I say, “It is raining,” that only means that at the moment it happens to be raining. It doesn’t imply that it will be raining tomorrow or the following week or the rest of the year. We know that. But when I say, “I am a woman” or “He is a man,” I’m not indicating a temporary state. I am a woman at this exact moment, but I will be one tomorrow and next year and the rest of my life. That’s the perfect tense. So when Jesus says, “It is finished,” He is declaring that the action has already been completed, and the results are ongoing. The work of redemption is finished. Jesus completed it, and now we reap the benefits. “Finished.” When I was in college I had to do a senior recital as a requirement for my music major. (Actually, I opted to do two of them- one for flute and one for organ, but for this example let’s just focus on the flute recital.) I practiced and practiced. In a sense, I’d been practicing for years, ever since I first started learning about music in grade school. Leading up to the recital, I practiced by myself, I practiced with my accompanist, I played it for my flute teacher, I practiced in the practice rooms in the music building, and I practiced in the recital hall. Then finally came the big day. I performed the recital in front of an audience and then I was done. I was finished. I didn’t have to practice those pieces anymore. I didn’t have to play them again. I didn’t have to do that flute recital one more time just to be sure it “took” the first time. I was done. I had completed the requirements. So it is with Jesus’ sacrifice. It is finished. There’s nothing more that needs to be done. Jesus leaves no room for the view that “Well, Jesus started it, but I have to finish it in my life by…” No. He did everything needed for your salvation. You don’t have to add one single thing. He meant what He said. It. Is. Finished. 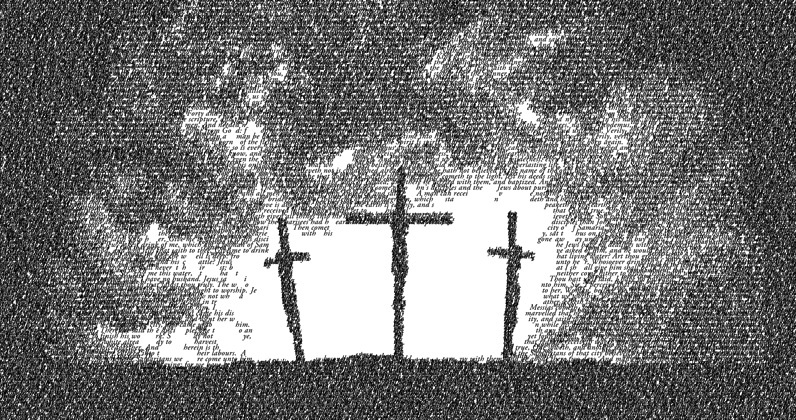 Jesus’ dying word on the cross is in fact a word of life. His death means life for you. Tetelestai. Your sin debt has been paid in full. You owe nothing. Jesus’ crucifixion was a one-time event with ongoing results. It is finished for you now and for all eternity.